Mais oui, une très bonne trouvaille! Bien winkled! ...top find Dave mate, well done indeed!! And it would be worth reporting as at least it would introduce you to the Spanish system for reporting finds and perhaps a friendly archaeologist or two!! I'm currently in touch with an historical association for the area, they recognised it as Napoleonic when I thought it was recent civil war, I'm hoping they will know what to do as I'm still not sure which department to report to and a lot of people here think it's still completely illegal, still very sensitive about it, but next door have said they know someone at a museum in Gandesa who is very friendly, hopefully we can take my finds and they'll translate for me. 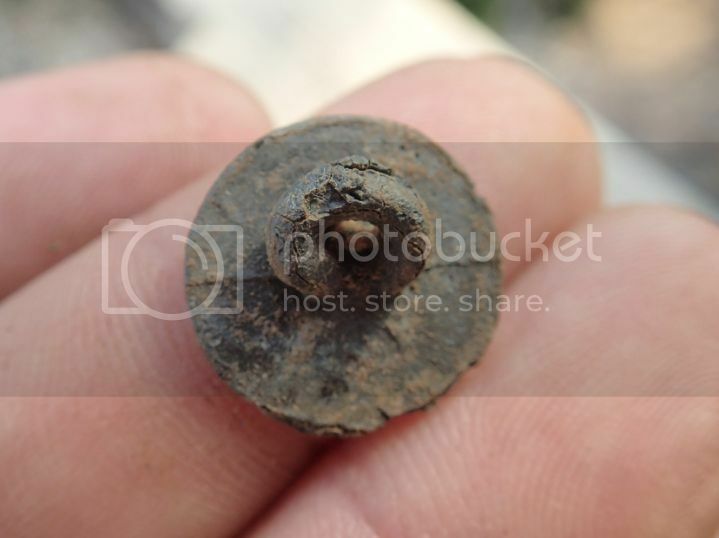 Lovely little button...well found mate..
Nice find taxidave ! We have the same in france...but I did not know it possible to found that in spain ! 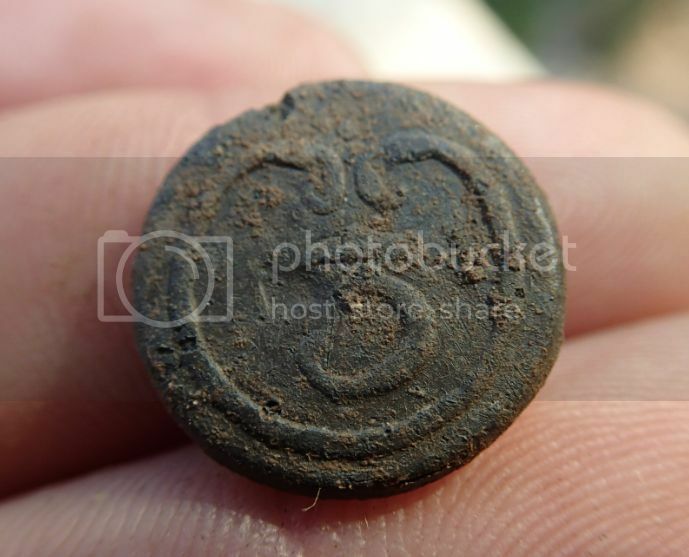 Cracking wee find Dave, well done mate.